During the darkest days of Rebekah’s hospitalization, my mind alternated from blank to overdrive. Not much was intentional; distraction nurtured darkness and a feeling of helplessness fostered a desire to think and understand. I felt like I was simply taking a ride that I never wanted to get onto, and it was drowning me. Rebekah was diagnosed with congenital heart disease when my wife, Sylvia, was 20 weeks pregnant. After meeting the cardiologist, I remember getting lost and crying as we wandered through the halls of Children’s Hospital of Eastern Ontario. I knew that our lives would be forever changed by what we were about to go through. Sylvia and I mustered as much strength as we could and began preparing for our little girl’s arrival. Rebekah was born on November 7th, 2017. She waited a few moments after she was born to take her first breath. Time has never moved slower nor have I ever felt such relief as when I heard her first cry. CHEO had a resuscitation and neonatal transport team ready for her and she needed them. Sylvia said goodbye to the daughter she had just given birth to and I went with Rebekah from Ottawa General to the NICU at CHEO. What came next was a whirlwind. At first, cardiologists were very encouraged by her echocardiogram and we started to hope we could take her home. Then bloodwork and imaging revealed a serious liver problem, biliary atresia. No gallbladder or attachment from the liver to the intestines meant that her liver was becoming congested and beginning to fail. 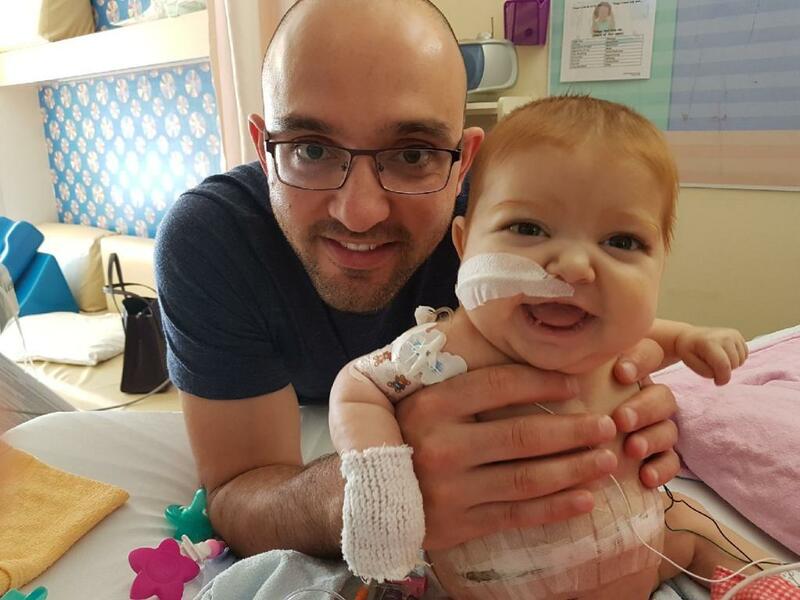 The pediatric general surgeons performed a complicated and daring procedure to try to buy time for her to grow before receiving a liver transplant, but they were unsuccessful. As far as her heart goes, the initial encouragement was fading. The right side of her heart was too big and fluid was backing up into her lungs. She needed a lot of meds to control her blood pressure and machines to help her breath. Both her heart and liver were failing. Shortly before Christmas, it was decided that she would undergo major open-heart surgery in January or sooner if she continued to decline. Then the worst thing happened, aggressive septic shock set in one week before her scheduled heart surgery. Rebekah was on the maximum dose of life-saving drugs and still barely holding on. In many cases, septic shock is fatal for previously healthy children and she was medically fragile to begin with. We gathered friends and family together at the hospital and prepared to say goodbye. She had other plans though. She’s strong. She pulled through. About two weeks after septic shock, Rebekah had open-heart surgery on February 6th, 2018. Recovery was almost as difficult to watch as septic shock; however, it went faster than expected and she was smiling within a few weeks. 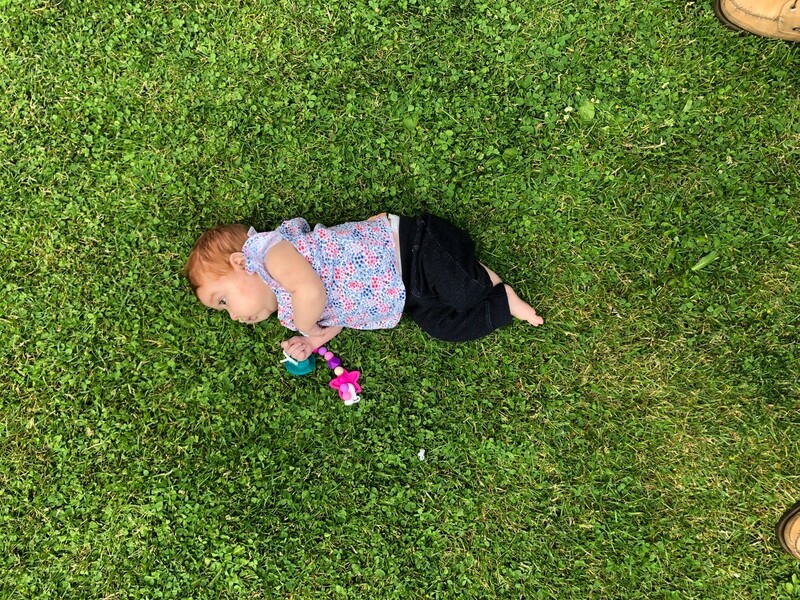 Her eyes and skin remained deep yellow, abdomen distended and firm to the touch, and her liver function was decreasing, but she still found time to smile, even at four months old. 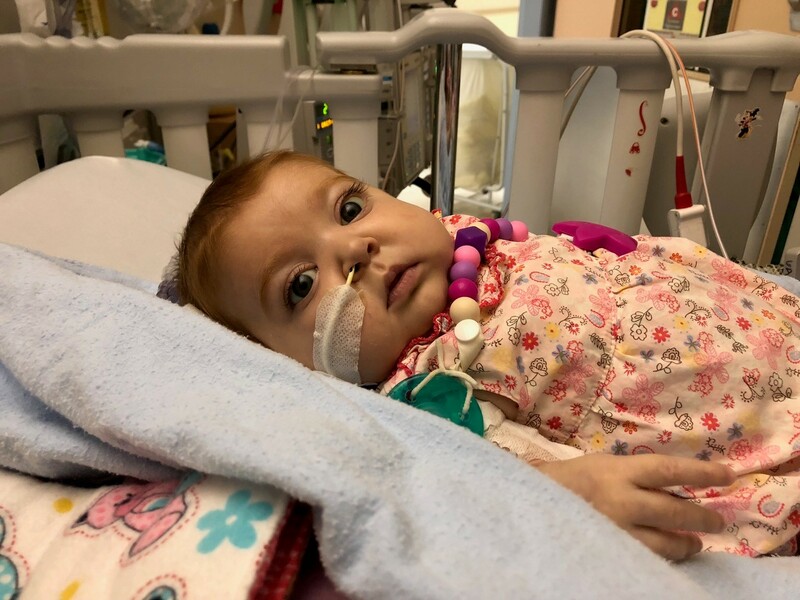 Towards the end of February, it was decided that Rebekah would be transported by air to SickKids Hospital in Toronto to be assessed for a liver transplant. On February 27th she took her first breaths of outside air with a smidgen of diesel exhaust from the ambulance. I remember landing in Toronto and not having a place to stay. For the first few hours, it was the least of my concerns. I just wanted to make sure that all of the important information was conveyed to Rebekah’s new care providers. That first night I passed out exhausted on a bench in the NICU waiting room. Sylvia and I took turns staying in Toronto at the Ronald McDonald House and looking after our other children in Petawawa, Ontario. Eventually, I had to return to work and would drive with the kids to see Sylvia and Rebekah on the weekend. Both Sylvia and I applied to donate part of our liver to Rebekah. Sylvia was screened first and was a perfect match. On May 7th both my wife and daughter underwent major liver surgery, Sylvia at Toronto General, Rebekah at SickKids. That was a very hard day. Both surgeries went extremely well. It was remarkable how quickly Rebekah’s colour returned to normal. Recovery was a long process but every day she smiled more, ate more, and showed us more of the wonderful personality that had been suppressed by the severe abdominal pain that she had suffered as a result of liver disease. In the first week of June, Sylvia gave me the best surprise anyone could ever wish for. She brought Rebekah home for good. Seven months of hospitalization finally ended. Over the next weeks and months, Rebekah needed less and less medication and ate more and more on her own. By mid-summer, she was meeting all of her developmental milestones. By Christmas, she was standing on her own. In February of this year, she took her first steps. In the craziness of life, I sometimes take for granted the incredible journey that we’ve been on as a family. We went through something real and challenging but we didn’t so on our own. We could not have. As for Rebekah, many doctors, nurses, and other healthcare providers literally saved her life on more than one occasion. As for us, friends, family, volunteers, and charitable organizations like the David Foster Foundation gathered around us to encourage us and provide for our physical needs during the hardest trial of our life. During the times my mind was in overdrive, one of the things I worried about was how we would afford all the additional expenses associated with supporting Rebekah. The funding we received helped alleviate much of this pressure. It also helped us know that we weren’t completely on our own. There are people who care. We made it through together.